Cyn arrives! 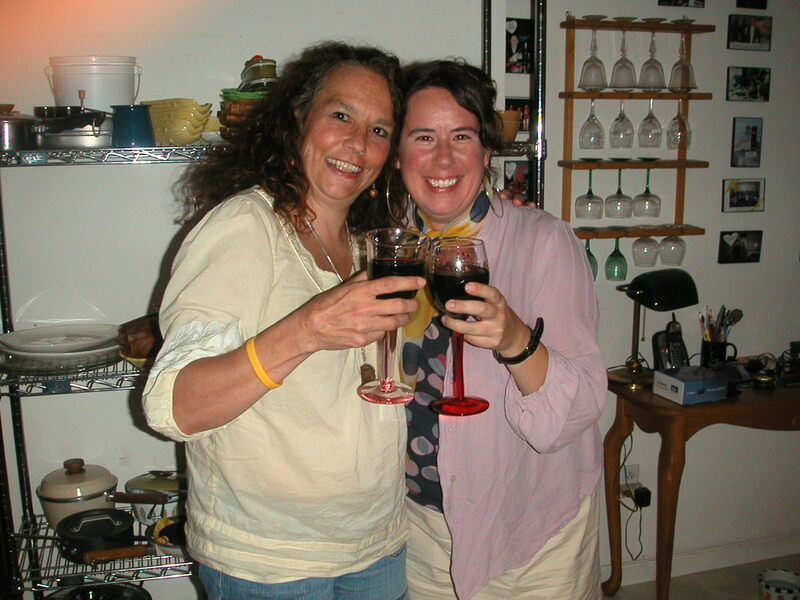 I picked her up at Bradley Airport, and here we're toasting to a great week! July 13, 2010. 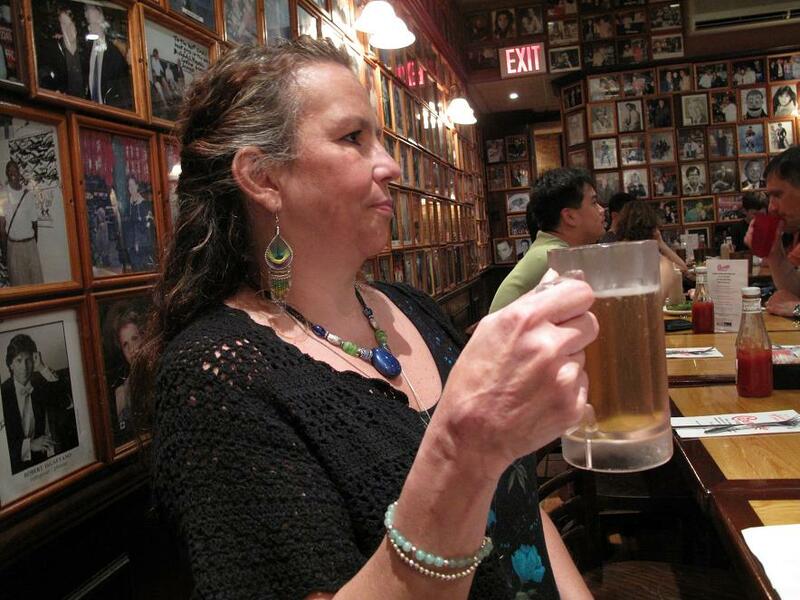 A friend and fellow writer Cynthia Wilson passed away in December. To say that we were close would be an understatement; in a sense, I lost not just a friend, but a sister. We shared so many interests and passions that we were instantly drawn to each other: we were both witches. We were both writers. We both loved New Orleans jazz (and you can’t imagine how much time we burnt up the phone lines over every tiny development in HBO’s Tremé—I don’t know how I’m going to get through Season 2 without her!). We both loved good ghost stories, in print and in film. And we both spent a lot of time researching and discussing the paranormal—always wondering if there really was an afterlife. 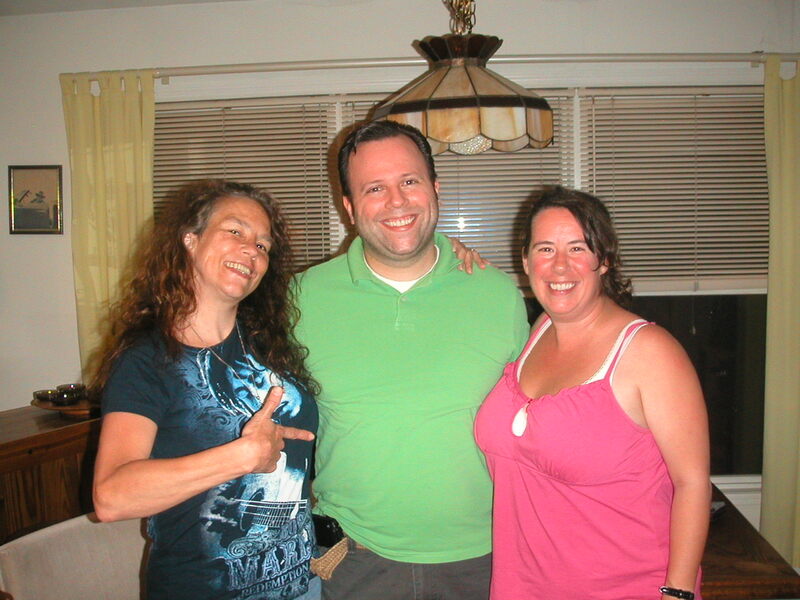 When I got the news of Cyn’s passing, I couldn’t believe what I was reading. It was like my soul had separated from my body, like I was looking down at myself. I had always thought I knew what heartbreak felt like until that moment. If there’s anyone in the world that would find a way to do it, it would be Cyn. At first, what she’d said weighed on me. But then I got distracted. People were posting on her Facebook page and addressing her in the present tense. Her blog was still there for me to go back and read. There were e-mails she’d sent me I hadn’t opened yet. And there were photos and videos of her visit that I hadn’t had time to sit down and look at or watch. She was proving to me there was an afterlife—in a technological sense. A person can, nowadays, continue to live forever in social media, photos, videos. We are incredibly lucky. I think back to the Victorian era, when photography was young and expensive, and so few families had any photos of their loved ones, any photos of their everyday lives. In fact, so few families could afford it that when the person died the entire family would stand around and pose with the corpse, just so they’d have a visual record that person existed. We are blessed today that we do not ever have to recall a person that way. We can go back and read that person’s blog or post things on their Facebook pages. We have photos of us alive and well. And we have videos. We can pop that disc into our TV or that card into our computers and there that person is, alive and well, like she isn’t gone. It isn’t that these things can replace this person; the person’s absence has created an enormous hole in our lives that can’t possibly be permanently filled by a bunch of Facebook posts and photos. But for a few moments, the hole can be temporarily filled. All we really have to do is dream; all we really have to do is pull out the old photos of something fun we did together, or retell a great story about some crazy adventure we had with that person, or replay a video. There are so many things Cyn did not get to finish, and so many things she’ll never get to do. But in the last year of her life, there were things she did get to do that she’d never done before. She came up to visit me in July, and she spent her days, while I was at work, whipping up some wonderful southern cuisine. 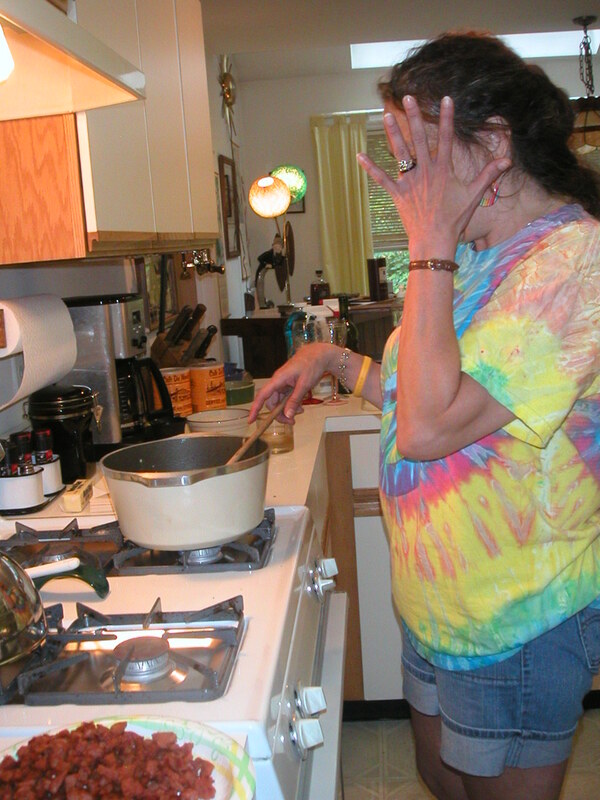 She loved to cook, and she especially loved to cook for large groups of people. She had the time of her life in my kitchen cooking for all my friends with the New Orleans Jazz blasting from the stereo. And she got to go to New York City, someplace she’d always wanted to go and had never been. She was like a kid in a candy store. And since I spend a lot of time in New York and have gotten blasé about it, how refreshing it was to see the city through a child’s eyes. So, yes, Cynthia, there is an afterlife. There is one where you are, and there is one here. You will live on for as long as I hold you in my heart, and as long as I share evidence of your existence with others. And so, here is Cynthia Wilson in living color. Enjoy. Cyn is cookin' up her awesome Jambalaya. July 14, 2010. Video: Cyn talks Hot Sauce with Charles. Video: Cyn confesses she wants to be locked in my local Shop Rite. Video: Cyn discusses the state of bread in TexArcana. Video: Cyn shares a funny story about TK, his friend, and Wonder Bread. Video: Cyn talks with Julia Copeland, our buddy from Goddard. Video: Cyn dreams about moving to Connecticut and shows off her favorite cookbook. Video: Cyn discusses her favorite cookbook in detail. 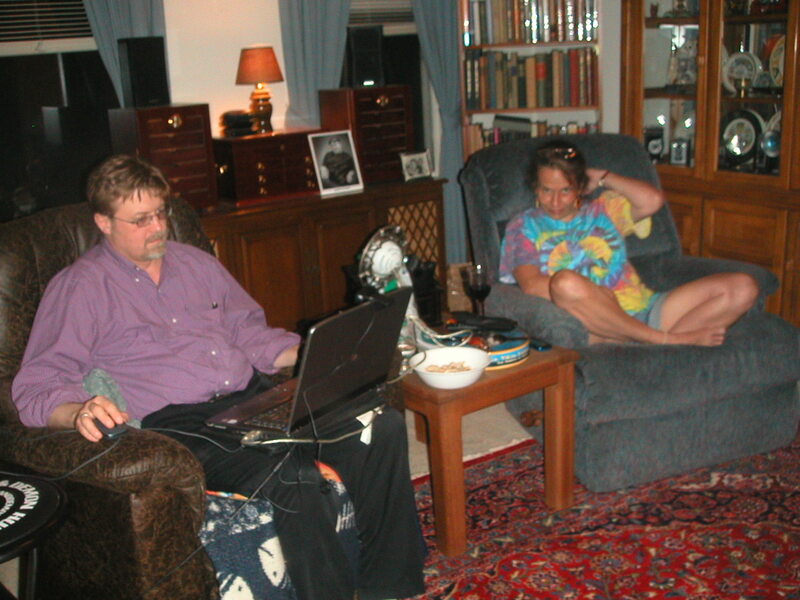 Cyn listens in as Nathan interviews Mick Doyle, of East Coast Paranormal Investigations in Dublin, Ireland, for The Ghostman & Demon Hunter Show via SKYPE. Video: Nathan interviews Mick Doyle while Cyn listens in. 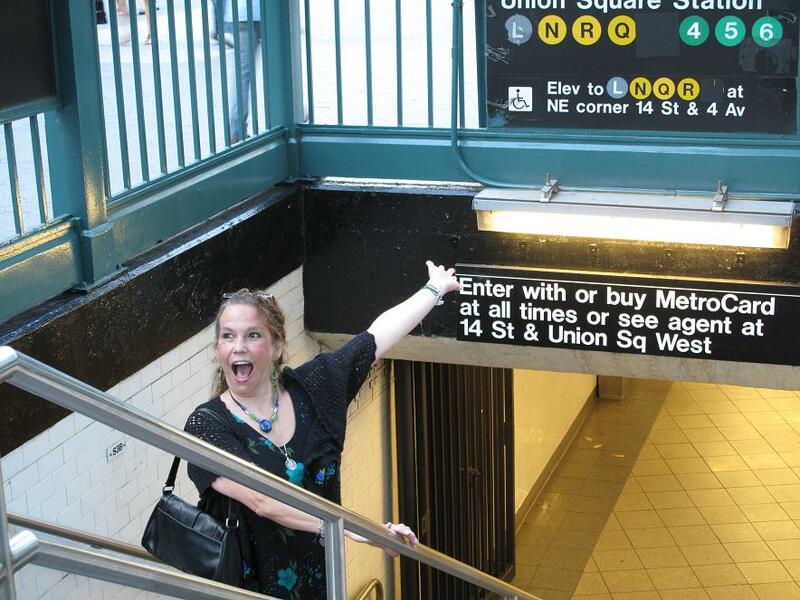 In New York City, July 15, 2010: Cyn is THRILLED for her first Subway ride. You would have thought we were in Walt Disney World. 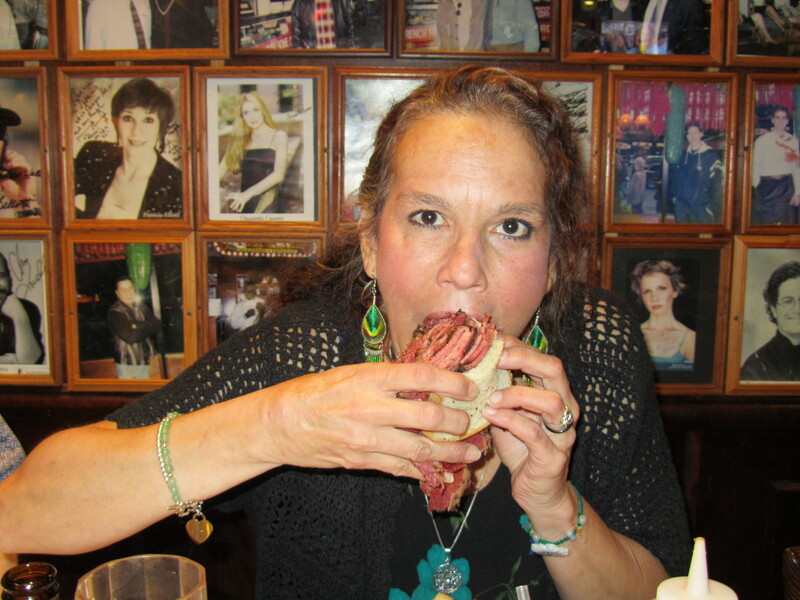 We took Cyn to the Carnegie Deli. 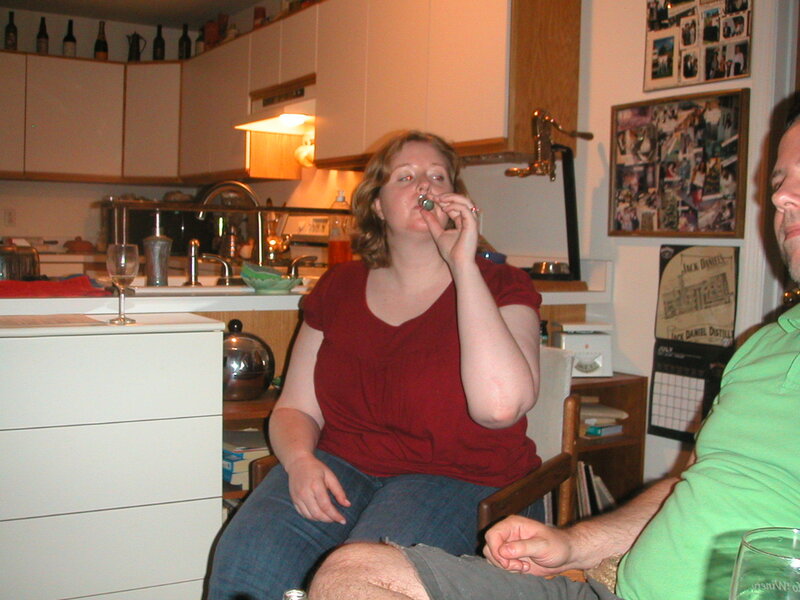 Here she celebrates with a beer. 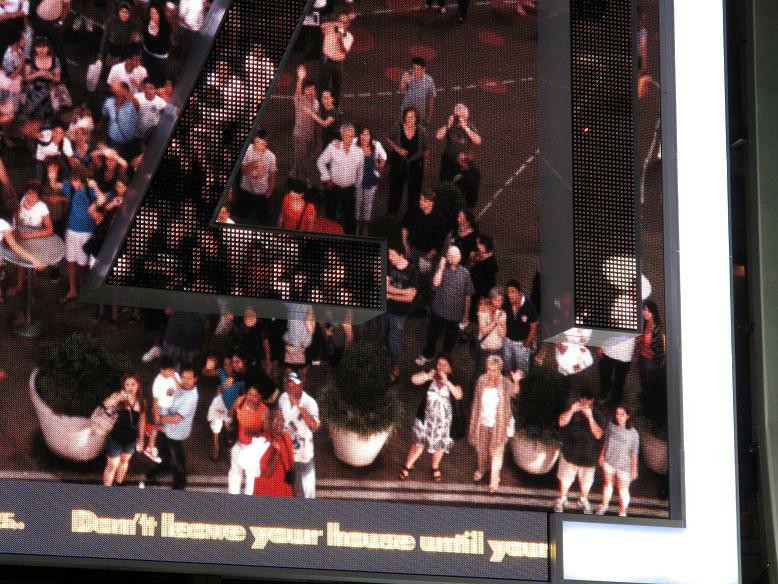 We were all hypnotized by this stupid giant billboard in Times Square. If you look to the lower left of the picture you'll see us. 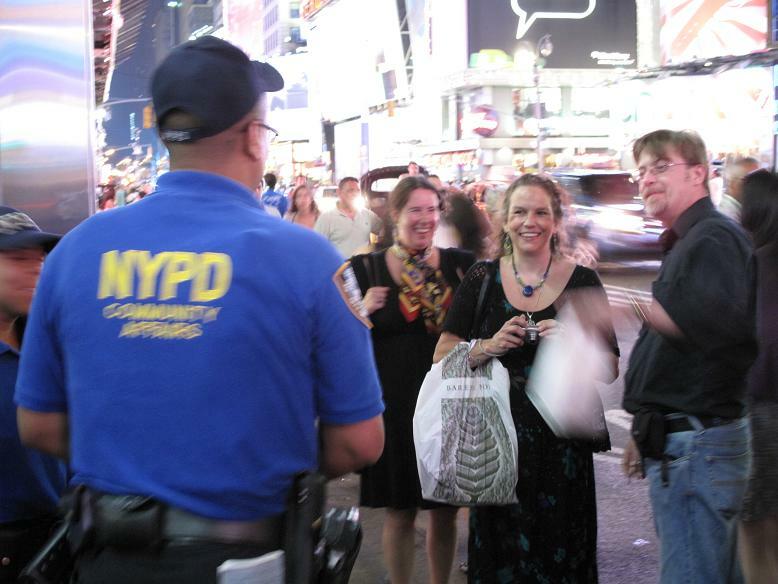 There were NYPD officers in Times Square--just for the purpose of having their photos taken with tourists. Cynthia could not believe this. She took pictures of them so she could "prove to people back home that up in the North they have police officers whose whole job it is to just be nice." It was amusing. She didn't, curiously, want her photo taken WITH them. 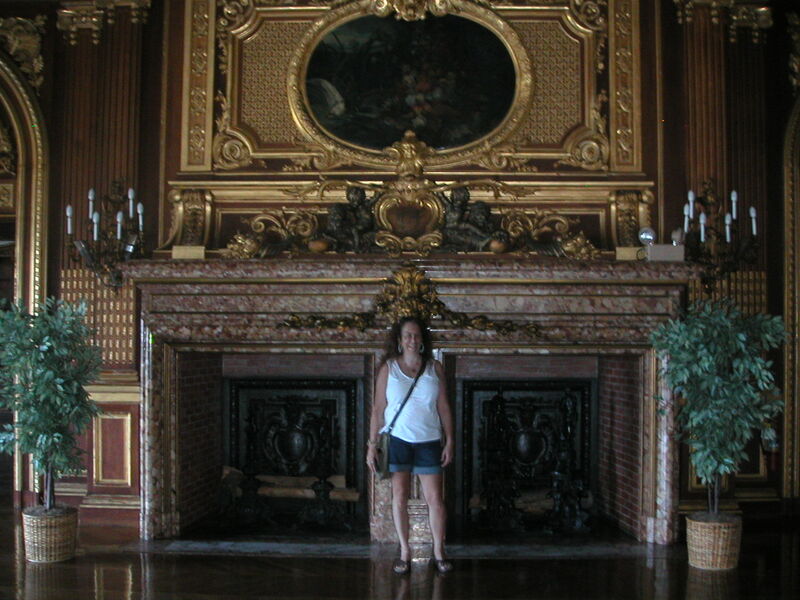 I took Cyn to Newport, RI. Here we are clowning around in front of the building that was used as the house for the original Dark Shadows TV series -- it's now a dorm for Salve Regina. Photo courtesy Melissa Martin Ellis. July 17, 2010. We walked into one of the Cliffwalk Mansions that was open. Cyn fell in love with this fireplace and wanted her photo taken with it. 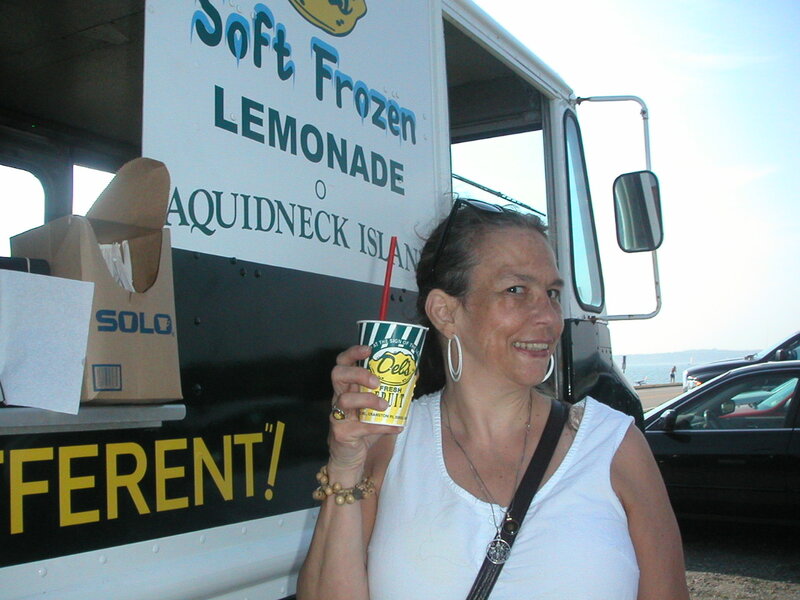 Melissa and I take Cyn to experience a RI classic: Del's Lemonade. 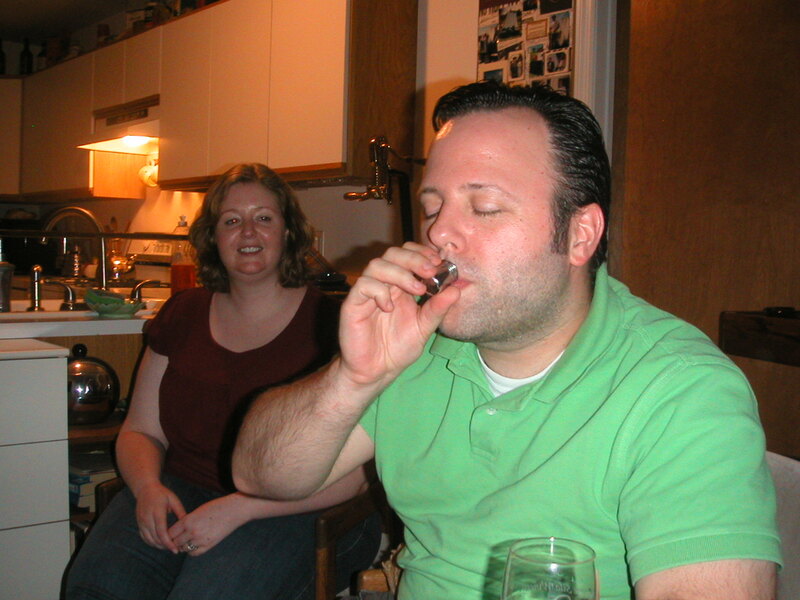 July 18, 2010: Cyn made southern specialties for all of us -- Rob and Jen Mayette were coming over for dinner, and because Rob and Jen love NOLA food, well, Cyn just had to be all over that one. Here, we've set the table. 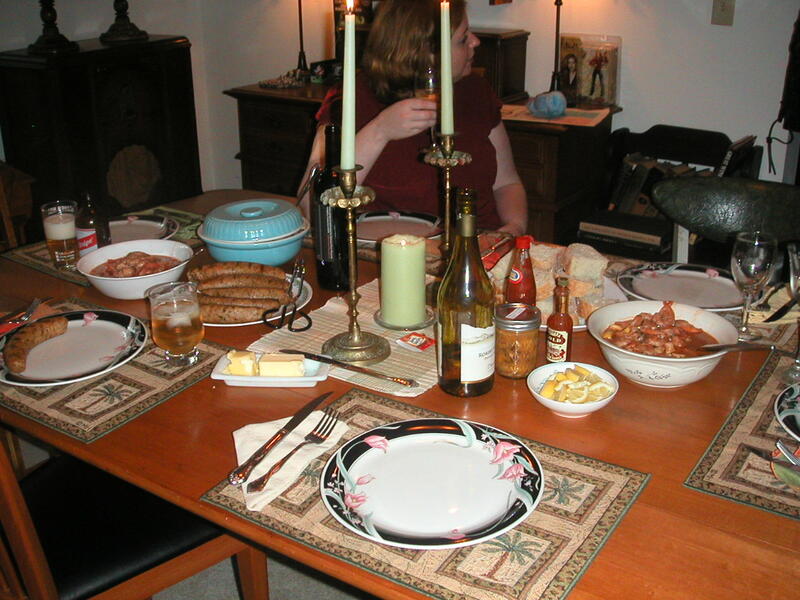 We're ready to sit down and eat! There was New Orleans Jazz blasting from the stereo. Cyn brought some 'shine from Ireland. Here, she gets us all to try it. 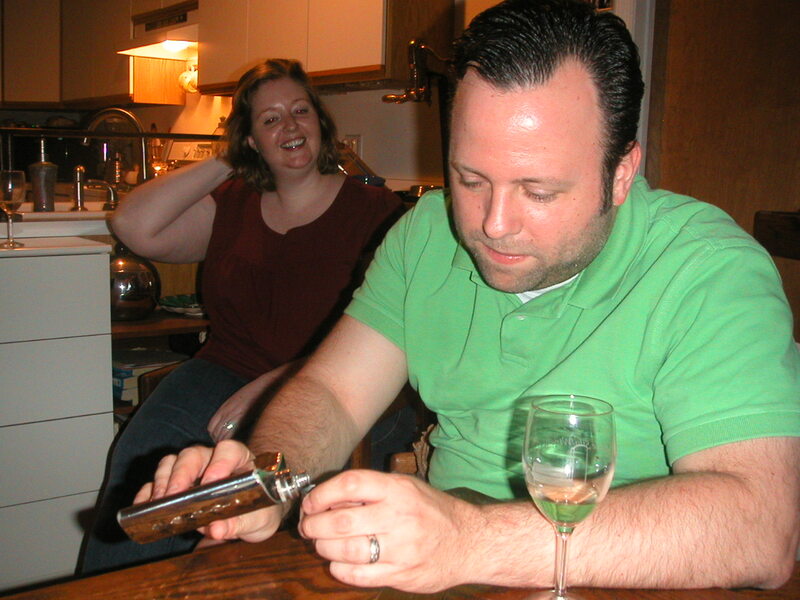 Rob pours the shots. Posted on January 30, 2011, in Deep Thoughts & Fun Stuff and tagged afterlife, CL Ross, Cynthia Wilson, Paranormal, social media. Bookmark the permalink. 3 Comments. Is it possible to be happy and sad at the same time? I am sitting here with tears streaming down my face, but smiling, too. Krissi, thank you so much for sharing these moments with us. Cynthia was a one-of-a-kind, indescribable character. Although my time with her was brief, I bonded with her instantly and will always remember her with love–and great respect. To say I think about her every day is no exaggeration. We packed a lot of dreaming and plans for the future into our brief relationship. When you guys came to Newport, she took one look at my secret garden and declared that when she died, she was going to haunt it. I laughed uneasily but got the impression she really meant it. 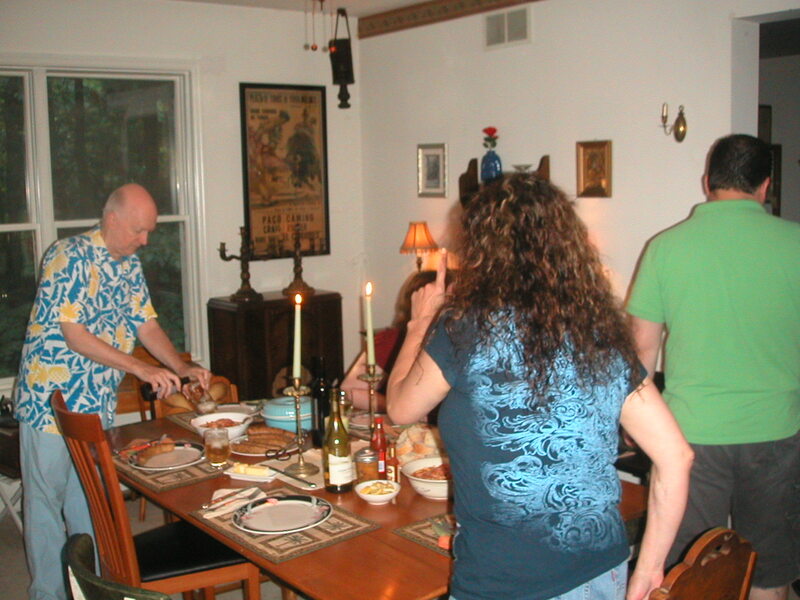 The last time we spoke, we were joking about being neighbors in Ireland when we retired and we spoke of traveling over there this year to do some ghost hunting. She did say that if anything went wrong and she died, that she would find a way to come through to either you or I, Krissi. Love you Cyn, come visit my garden this spring. I’m sorry to hear about Cynthia’s untimely death. She had a memorable personality and great insights for fledgling writers. She will be missed.